Embrace the funexpected in Zoggs Phantom Junior goggles offering our Soft-Seal™ hypo-allergenic frame which moulds to the contours of the face giving a superb customised fit whilst retaining softness to give a ‘second skin’ style comfort. 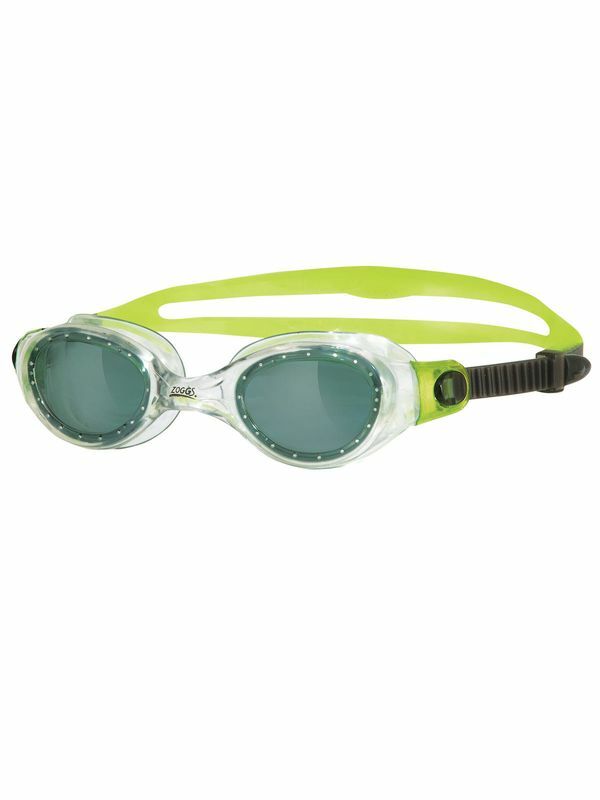 The lightly tinted lenses are ideal for low level light and overcast conditions where maximum visibility is required – perfect for swimming lessons! With our built in Fogbuster™ anti-fog, juniors are guaranteed fantastic clarity with our Phantom Junior goggles. The durable split-yoke strap reduces pressure around the eyes and is combined with a quick adjust system making it even easier for juniors to get a great fit.